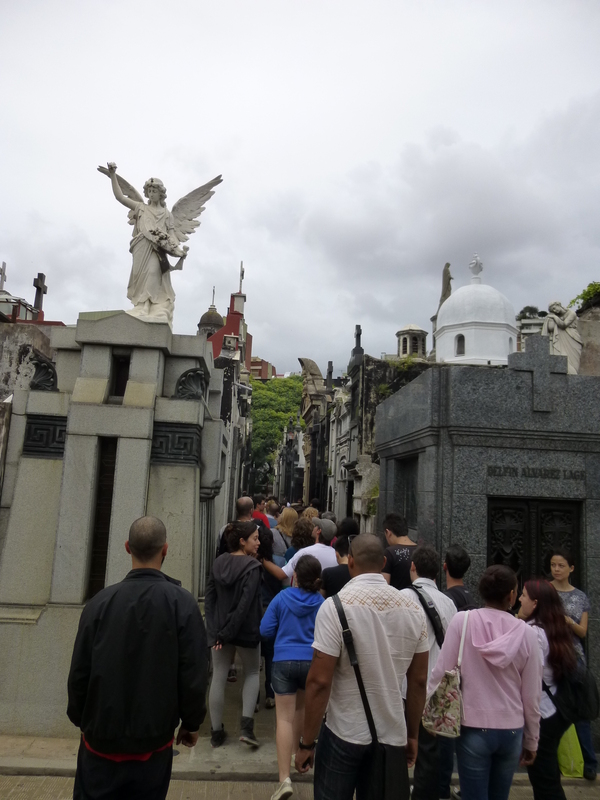 We wander down a maze of narrow streets, trying not to think of the piles of dead bodies either side of us, looking for the home of Eva Peron. 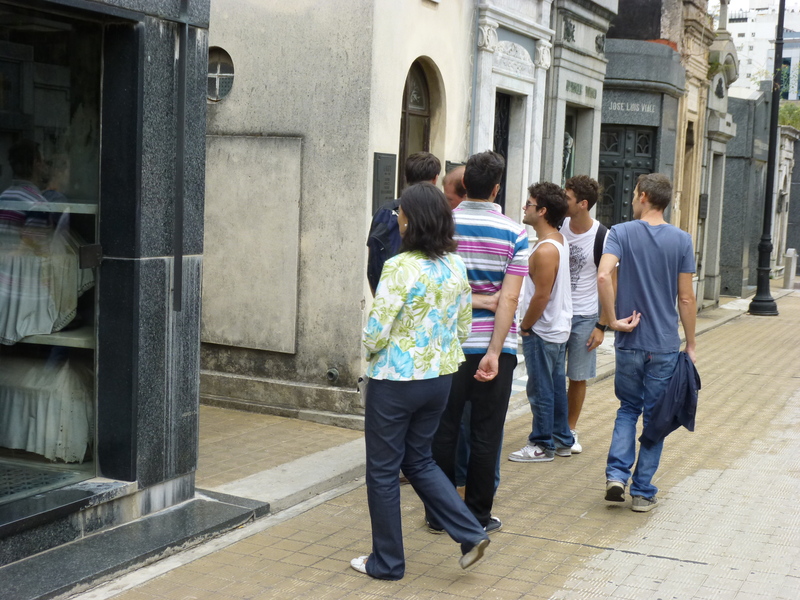 The cemetery is full of visitors and each and every one of them has come for the sole purpose of seeing the grave of Eva Peron. Every other mausoleum pales into insignificance. 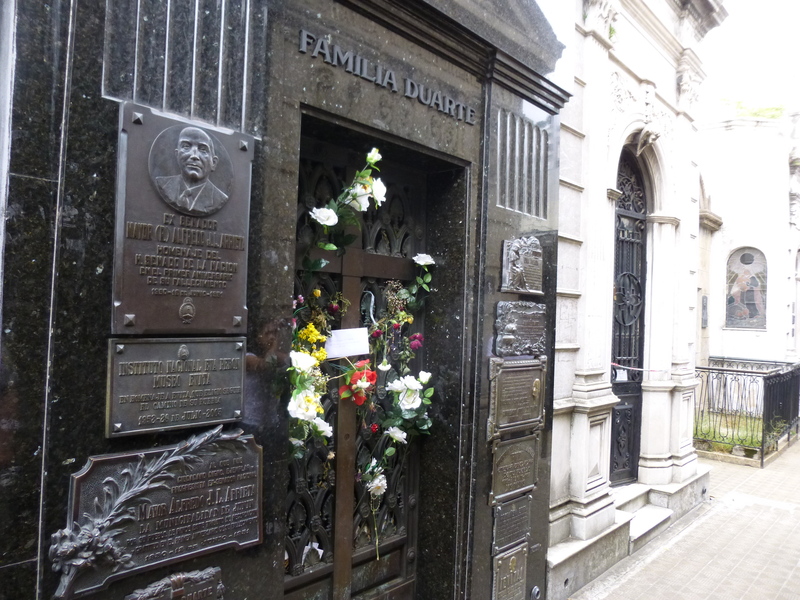 There should be “Don’t cry for me , Argentina” playing in the background getting louder as you approach her resting place. I understand that might not be appropriate for a cemetery. But surely a discreet sign pointing us in the right direction could be allowed. But there is nothing. 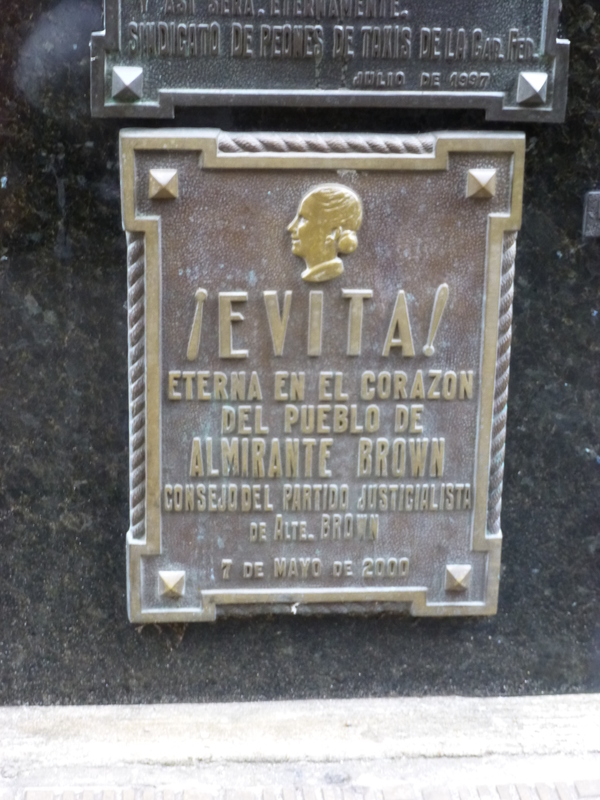 but several, even one giving the name of the Broadway Musical, just in case we were in any doubt as to who she was. This is almost the only tomb in the entire cemetery where people have left things in honor of the deceased. 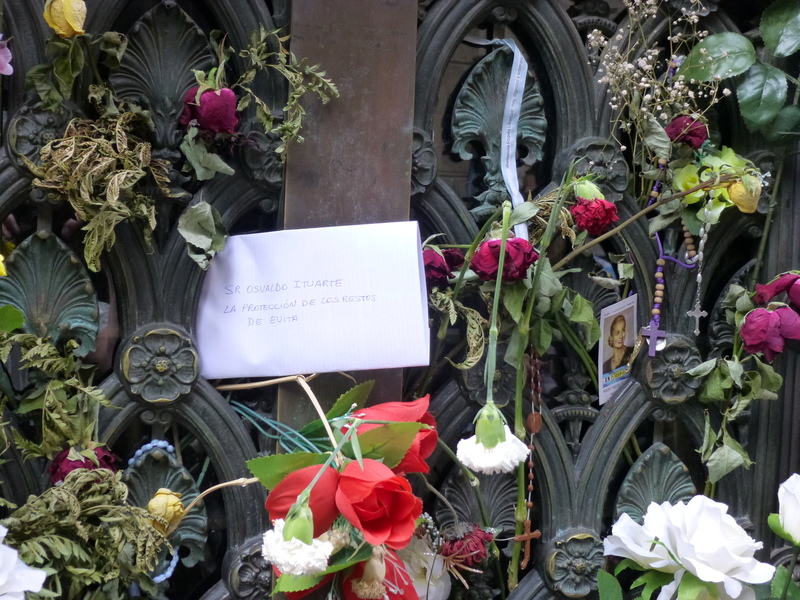 The mausoleum gates are covered in flowers in a gesture of love and respect that is recognised all over the world. 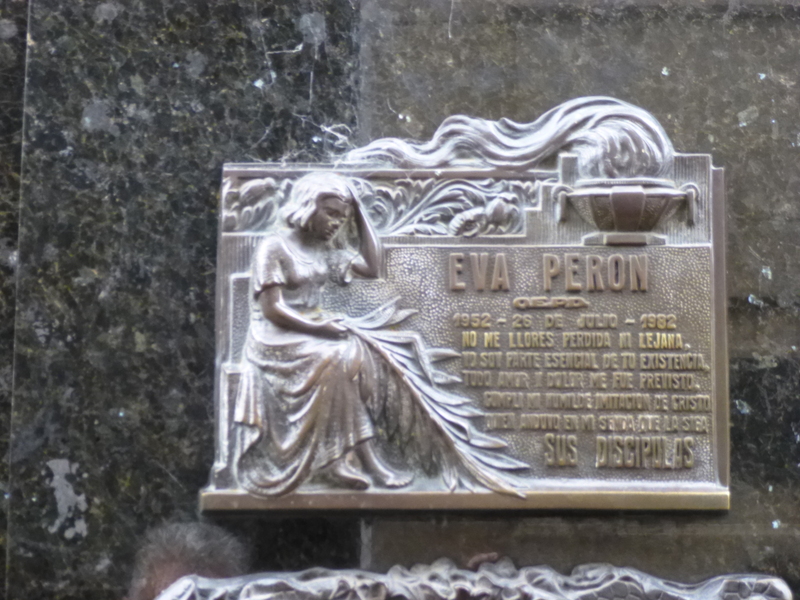 The envelope has Eva Peron’s name carefully written on it, but no forwarding address. This seems a little careless. If you are going to go to the trouble of writing to a person who has been dead for sixty one years, you would think they would have given some thought as to how it was going to be delivered. 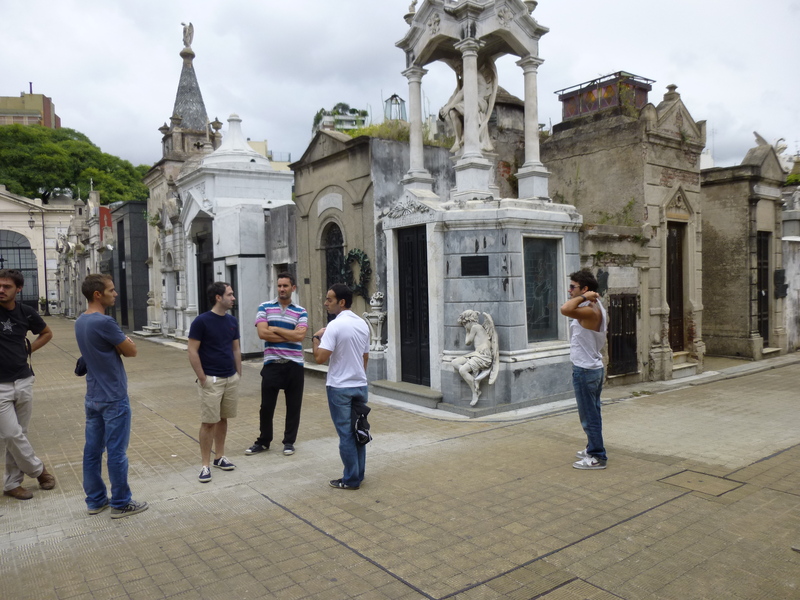 After all, getting it to the outside of the mausoleum is the easy part. And do you suppose they will be waiting for a reply? And what is that photo doing there amongst the flowers? Does somebody think the tourists need to see a photo. 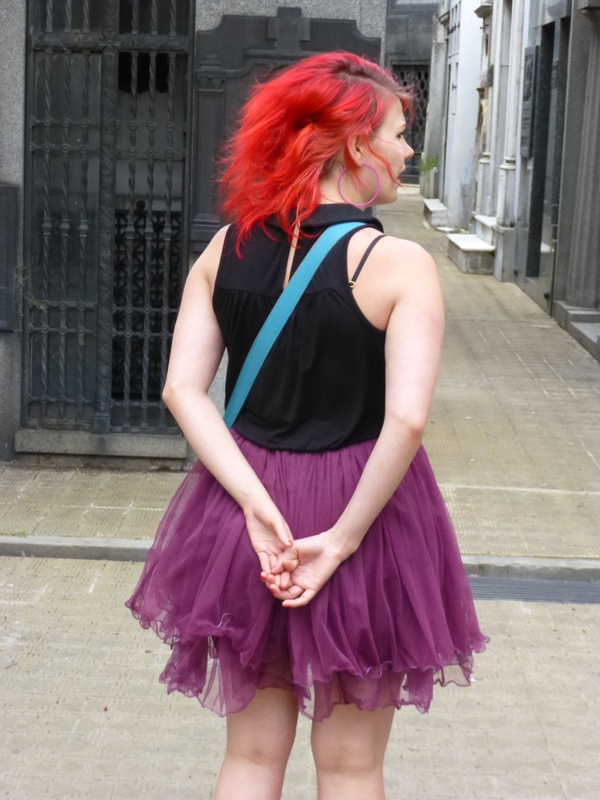 We have traveled thousands of miles to see her grave so believe me when I say we know exactly what she looks like. She looks just like Madonna. Or has it been left there for Eva’s benefit? I’m sure she too knows that she is a dead ringer for Madge. So enjoying our vicarious holiday with you two very educational and fascinating , but next time please can we tag along for real in your fabulous adventures. Cheers us up no end as we face another extremely cold grey day .at least it’s not raining.continue to enjoy and we eagerly await the next instalment.Lots of love SandGxxxxx. G says it was very kind of you to size up mausoleums and save me a job! Clearly there is WalMart in Argentina.